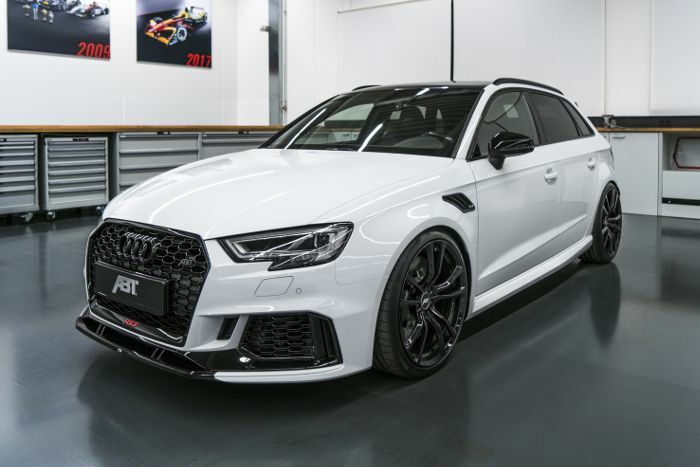 ABT Sportsline, the market leader for tuning Audi and VW group vehicles, but now another tuning model has been introduced, and this is a new ABT RS3 Sportback (but the parts are also available for the Audi RS3 Sedan). 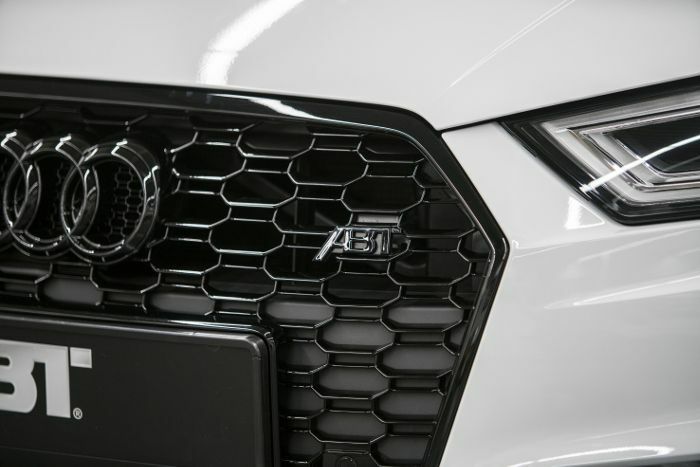 The new ABT RS3 has been received aerodynamic elements, and that adds the new front and rear bumpers (rear bumper with diffuser), and fender gill openings, which refer to the ABT tuning package. The RS3 Sportback performance was raised to 500 horsepower (368 kW) with ABT Power R (368 kW) and improved driving dynamics at German Essen Motor Show, and this is a beautiful creation. The standard Audi RS 3 comes with 400 HP (294 kW) but ABT Sportsline already produced a performance upgrade with 460 HP (339 kW) before. The new 500 hp RS3 was fitted with the ABT Suspension Springs and ABT Anti-Roll Bars, so the ABT RS3 perfectly brings the power of the 5-cylinder in-line engine with 2.5 liters onto the road. The tuner already develops a special ABT Damper Setup in cooperation with its partner KW automotive. 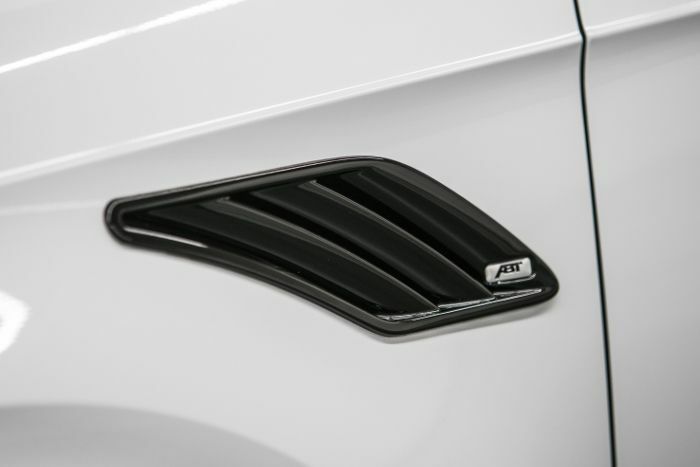 The objective is to create both a sporty and comfortable driving experience. The multi valve technology makes it possible to finetune the damping force with regard to rebound and bump. 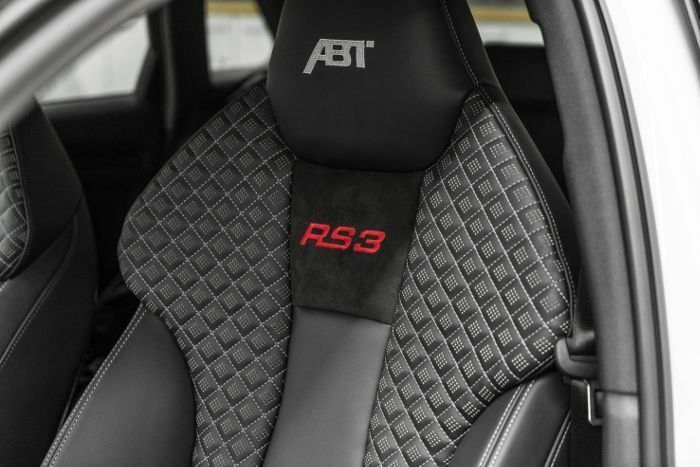 Thus, customers from all over the world can experience the typical handling of an ABT RS3. The ABT Sportsline to the RS3 they offer ABT Brake Upgrade Kit, which hides behind the 19 and 20 inch rims in ABT DR, ER-C, ER-F or FR design, always stops the ABT RS3 precisely. 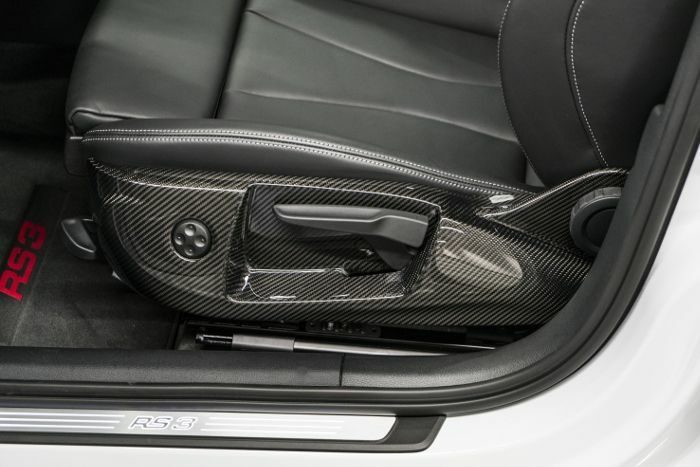 The Bavaria-based company offers interior upgrades, with different finishing upgrades in carbon and integrated entrance lights with the ABT branding, a gearshift lever badge, and the start/stop button. 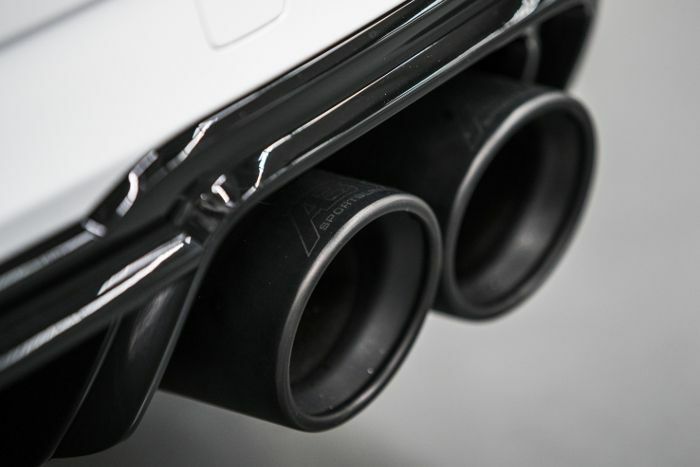 The rear of the Audi also gets a glossy black rear skirt set consisting of rear muffler channel and ABT Exhaust System with two 102 mm double pipes in matte black. 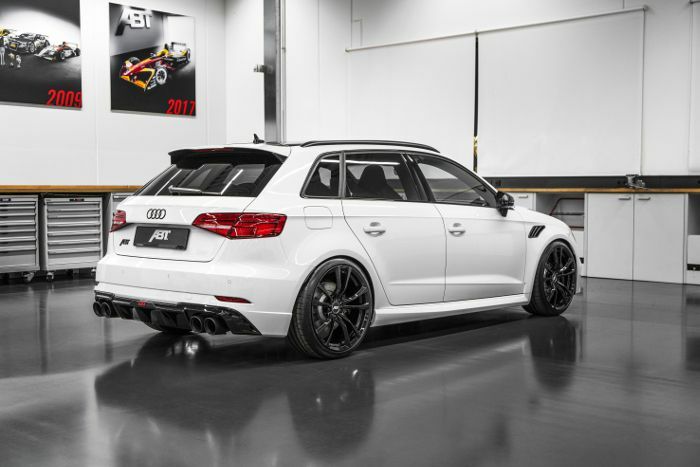 For those how do not have the standard Audi RS3, this is a good opportunity for ABT Sportsline.